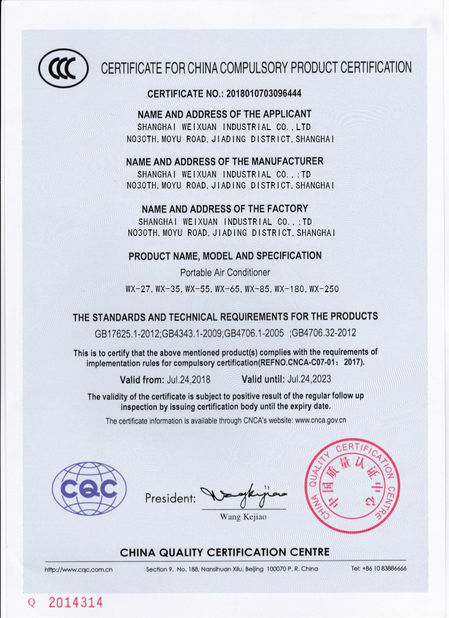 Our company has passed ISO 9001 and ISO 14001:2400 certification. My company has won the "Shanghai Advanced Performance Management Advanced Unit" and "Shanghai Anting Town Civilized Unit" and other awards. The company attaches great importance to quality management and establishes a quality department. Five quality engineers and ten inspectors perform standard quality control on the company's products. With instruments such as wind speed measuring instruments, noise measuring instruments and refrigerant leakage measuring instruments, the quality of products can be effectively managed.